AUSTIN: On Friday 12 April 2013 members of AUSA Texas Capital Area Chapter were on hand at the 2013 Texas Military Forces “Best Warrior” banquet at Camp Mabry to present awards to this year’s winners of the “Best Warrior Competition," which included participants of both the Texas Army and Air National Guard. Each was presented a certificate of commendation along with free AUSA memberships, gifts cards, history books, medallion coins and many other items. 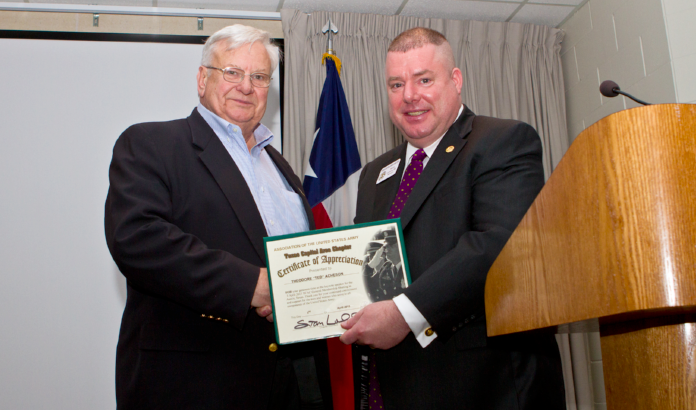 AUSTIN: On Wednesday 3 April 2013, Mr. Ted Acheson was on hand to speak to AUSA Texas Capital Area Chapter members about his experiences as a Combat Cameraman in Vietnam. 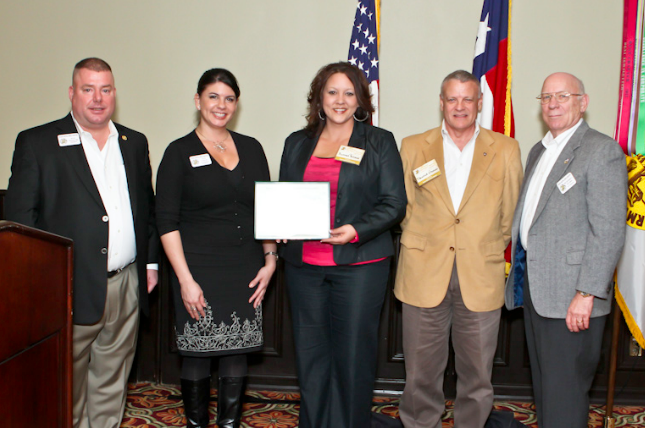 AUSA Texas Capital Area Chapter Wins 2 Major Awards At 2013 Pollie Awards Gala In Washington, D.C.
AUSTIN: On Friday 5 April 2013 the AUSA Texas Capital Area Chapter was awarded two national awards at the 2013 AAPC Pollie Awards Conference & Gala held in Washington, D.C.
AUSTIN: The Texas Capital Area Chapter would like to welcome Netco Title of Austin, Texas as one of our new corporate members. 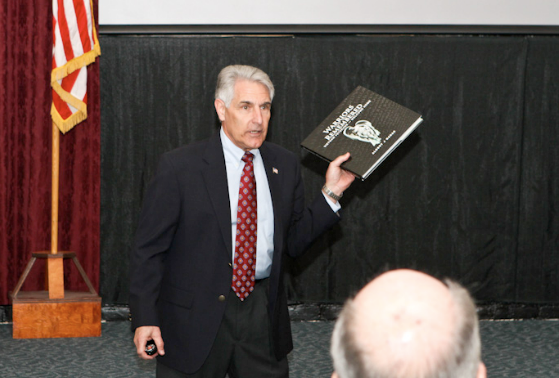 AUSTIN: On Wednesday 6 March 2013 COL(R) Albert Nahas was on hand to speak to AUSA Texas Capital Area Chapter members about his book Warriors Remembered – Vietnam Veterans Welcome Home. 1. 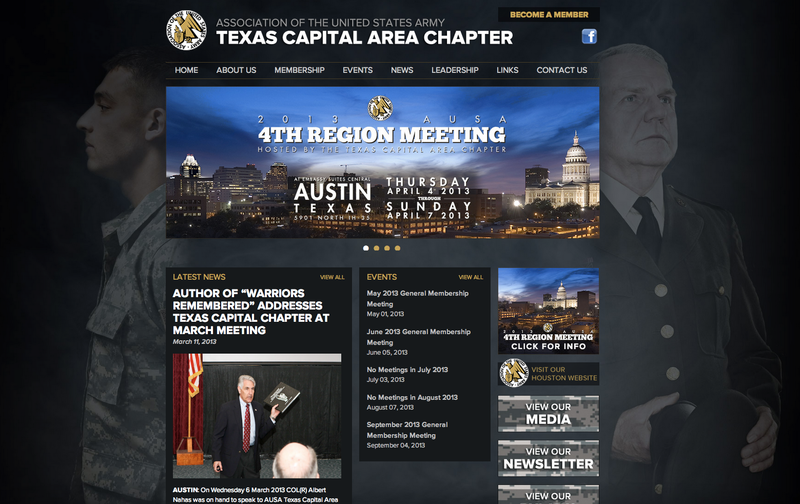 In accordance with Chapter III, Sections A – F of AUSA Chapter Operations Manual and all current Texas Capital Area Chapter Bylaws; the Executive Committee of Texas Capital Area Chapter has called a General Membership Meeting for Wednesday 2 October 2013 for the purposes of electing Chapter Officers. 2. The General Membership Meeting will commence at 1200 Hours in at Camp Mabry, Building 8 - Auditorium. 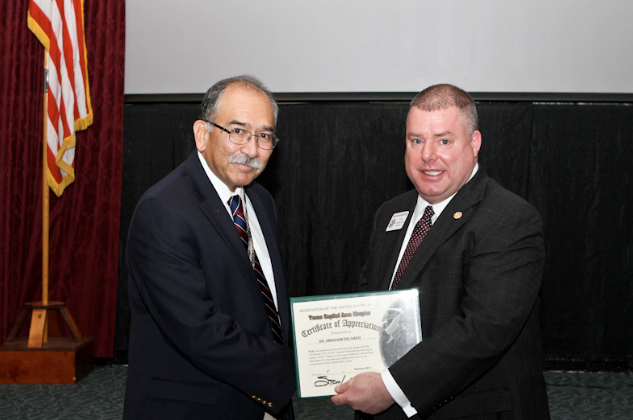 AUSTIN: Dr. Abraham Delgado – Chief Medical Officer of the Austin VA Clinic was on hand to address AUSA members on Wednesday 6 February 2013 regarding the new Austin VA Outpatient Clinic. 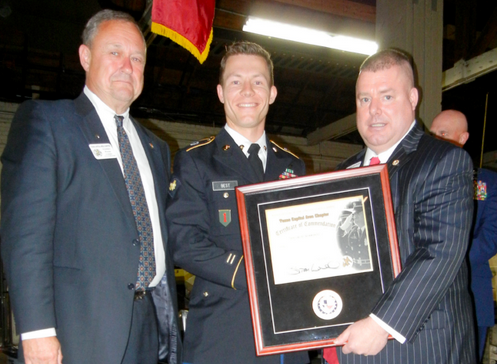 SAN MARCOS: On 17 January 2013 the Texas Capital Area Chapter was on hand at Texas State University Army ROTC to recognize the Ranger Challenge Team for their 1st Place finish in the 2012 5th Brigade “Ranger Challenge Competition. 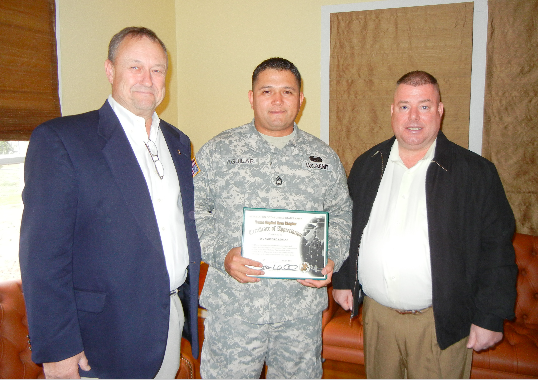 AUSTIN: The AUSA Texas Capital Area Chapter was honored to be a part of the promotion ceremony for SFC Ambrosio Aguilar on Wednesday 15 January 2013 at Camp Mabry. 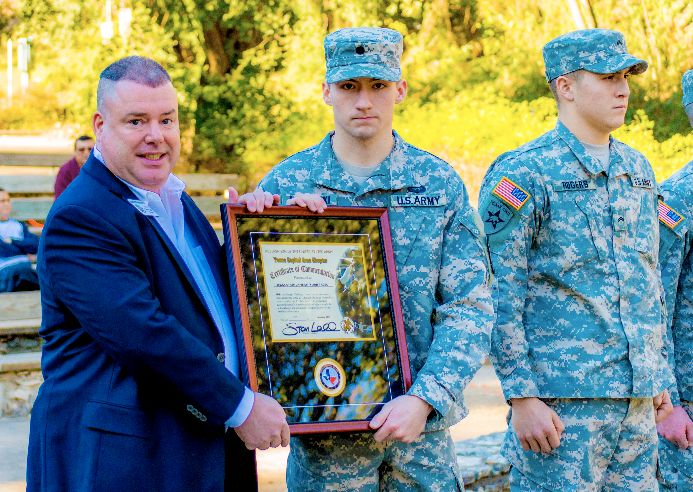 For the past year and a half SFC Aguilar served as Administration Non-Commissioned Officer to the Senior Enlisted Advisor of the Texas Military Forces – CSM Bradley Brandt. SFC Aguilar will be assigned to the G3 of Texas Military Forces. AUSTIN: On Wednesday 9 January 2013, Mrs. Patty Barron – Director of Family Programs at AUSA National Headquarters was in Austin to talk about family programs from a national and chapter perspective.